Twisting around the remains of an extinct volcano, Clermont Ferrand is sometimes described as a shorter, faster and tighter version of the Nurburgring. At five miles it was about a third of the length of the 'ring, but provided as much excitement as drivers negotiated a relentless stream of corners with no discernable straights. It hosted just four grands prix (1965, 1969, 1970, 1972) but left a very lasting impression on those who drove it. A number of participants in the 1969 event insisted on driving with open-faced helmets in case of motion sickness. Loose stones at the final grand prix in 1972 caused ten punctures and ended Helmut Marko's career when one flew up from Emerson Fittipaldi's rear tyre and partially blinded him. 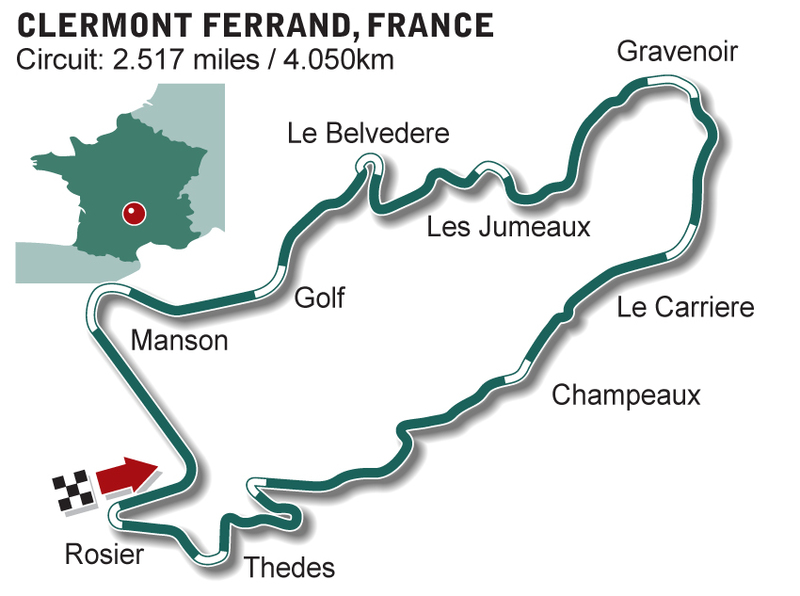 Concerns over the lack of run-off led to a re-profiling of the circuit in 1988, shortening it to 2.47 miles.